Krushna Mishra is an Associate Editor at Page Potato. Her passion for fitness starts every day at 6 when she religiously leaves for her jog. Being an amateur fitness expert, she helps others in their transformations. Apart from writing about Fitness, she loves to experiment in her healthy kitchen with her equally conscious Partner. How can meditation benefit your 5 senses? When was the last time you enjoyed a meal alone without an electrical gadget by your side? When was the last time you went to sleep without your cellphone? When was the last time you listened to your 5 senses? For me personally, it’s been a long while now. I can’t nearly imagine eating or sleeping without scrolling through my social media or watching Netflix. It’s something about us Millennials, we are very distracted. Our journey to inner peace has lost its way in the conundrum of a fast life. Millennials are most certainly very productive but have somehow lost the ability to be stable. We can’t be blamed entirely for being addicted to technology either, the competition is tough today. It has become more important than ever to be updated about what’s happening around us, to be able to plan our next smart move. A simple example would be, working late at work when your eyes are starting to hurt. It is important for you to understand why your sight is falling back at a time. Chances are, things go wayward if you ignore its warning repeatedly. However, what we fail to understand is, we are creating bigger problems for ourselves by limiting our senses. Not being able to connect with yourself is a real problem. Meditation is known to help soothe your senses. This gives you the scope to calm yourself and allows you the time to connect with the true self. This is when your body comes in alignment with your mind or senses. This might seem taxing initially but shows greatly on your productivity later. Being mindful should be a lifestyle habit and not something limited to meditations and yoga sessions. It necessarily means being aware of your body in the present. Meditation helps in arousing all our senses and keeping us alert at all times. We all know our 5 senses that run our lives. But how often do we pay attention to what these senses are trying to communicate? Be that frequent pimple on your face or the itch you get at the end of the day. We all let them shy away with the modern distractions of the day, to take care of themselves. 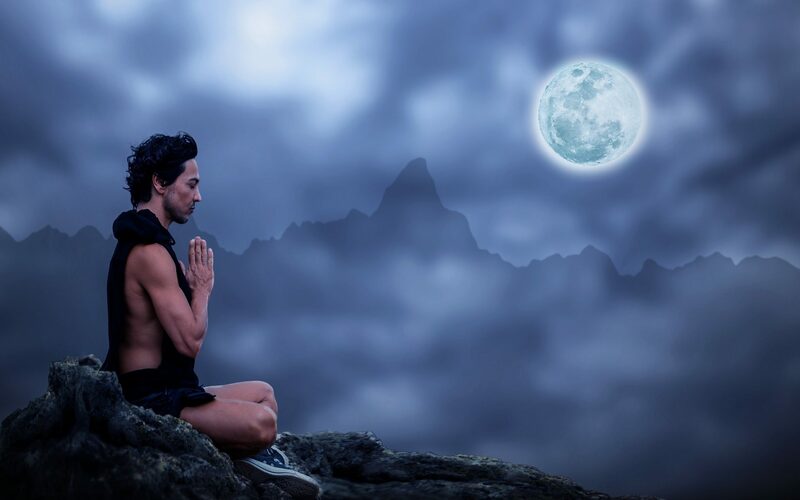 By paying attention to the senses during meditation, we are allowing the body to reconnect well with the mind. We have such diverse cuisines available so easily today, we take this sense for granted the most frequently. This habit not only makes us unhealthy but also leads to weight gain or weight loss. The right nutrients hit our blood vessels only when we are mindful of what we are feeding them with. Otherwise, our bodies don’t realize if we have already supplied them with the amount or not. Meditating will indirectly result in being mindful of that. You will have a better control of what and how much you are feeding your body. At times, our body signals at being hungry when it is just in need of water. Misreading your body in times like these will lead to indigestion and obesity. Having a cup of Jasmine/Green/Pepper Mint tea before meditating can calm your senses and leave a good aftertaste. We are usually always touching something or the else without realizing much of it. We become aware of it mostly when it hurts or feels good in sensation. Meditation can help you be aware of every small thing that you are touching regularly. It could be the warm sensation of an early morning sun or the feeling of rainwater on our bodies. Being aware of such small things or sensations in our daily lives doesn’t just make our lives more alert but also more satisfying. Meditating doesn’t come naturally to everyone. You can start with being at a comfortable location and relaxing. Make use of soft drapes, cushions, and rugs where you can be comfortable and cozy. The major motive of meditating is being mindful of your being and surrounding. A great way, to begin with, would be to meditate to a particular sound, be it a chanting of Om or to the sound of raindrops. This will alert your sense of hearing or sound and let all the other senses relax for a while. Let that particular sound absorb you. This is something that has personally helped me a lot in improving my eyesight. Focusing on the flame of a candlelight in a dark room is a great way of enhancing your sense of sight. You can take a note of all the tiny flickers or changes in colors while focusing on not blinking or distracting yourself from it. Your eyes might hurt after a while, then close your eyes and imagine the flame flickering in your mind. You can open your eyes again when the image fades from your mind without distracting yourself. While meditating you sit with your eyes closed, so as not to be distracted. Focus your sense of smell to the aroma of a flower or an incense stick. Anything that has a mild and soothing aroma to it can be of help. But make sure it is not too loud or too over-powering. Fragrances like that of jasmine and sandalwood are known to work as antidepressants and mood stimulants. Meditating can help you arouse your sense of smell and help you capture the tiniest of smells around you. The smell of soil when the first raindrops hit them, the smell of freshly baked cookies, the aroma of freshness from freshly squeezed citrus, to name a few. Being able to relish these natural and free joys around you will uplift your senses for a long time. While meditating try and focus at smelling the aromas in the room. This will allow you to absorb your surrounding smells while all your other senses relax for a while. Being mindful isn’t just a crucial part to survive in today’s world, but also an art of being healthy in the long run. Relaxing or letting go of your crucial senses alternatively, gives them the chance to relax. Picking up yoga, meditation or some form of workout with a loved one gives us the necessary break from the monotony. Meditation is how you relax your senses and rejuvenate them for a better performance. Allowing your body to fully live all the 5 senses is the only way to connect to your inner self.